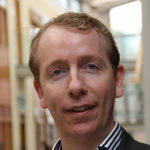 Mark Cummins is Professor of Finance and Head of the Economics, Finance and Entrepreneurship Academic Group at the Dublin City University Business School. He holds a PhD in Quantitative Finance, with specialism in the application of integral transforms and the fast Fourier transform (FFT) for derivatives valuation and risk management. Mark has research interests in an array of areas: computational finance; energy and commodity finance; risk management (model, credit, operational); and financial technology. He has published in leading international finance journals such as: Journal of Financial Markets; Journal of International Financial Markets, Institutions and Money; International Review of Financial Analysis; Quantitative Finance; and European Journal of Finance. He has additionally published in highly ranked international field journals such as: Energy Economics; Applied Energy; Energy Policy; Resources Policy; and Land Use Policy. He is co-author of the Wiley Finance title Handbook of Multi-Commodity Markets and Products: Structuring, Trading and Risk Management (with Andrea Roncoroni and Gianluca Fusai). Mark has previous industry experience working as a Quantitative Analyst within the Global Risk Function for BP Oil International Ltd., based in Canary Wharf, London. As part of the Risk Quantitative Analysis team, his primary responsibilities included derivatives and price curve model validation and development, with a global remit across BP’s oil, gas, power, commodities and emissions activities. Mark is Associate Editor (Energy Finance and Energy Markets) with Finance Research Letters and is on the Editorial Board of the quarterly publication ARGO: New Frontiers in Practical Risk Management.